Everybody knows that Hawaii is a beautiful volcanic travel destination. Ask any American kid to tell you something about Hawaii and they are likely to come up with a story about Pearl Harbor bombing by Japanese Air force during the WWII. Everybody knows that Hawaii is a beautiful volcanic travel destination. Ask any American kid to tell you something about Hawaii and they are likely to come up with as story about Pearl Harbor bombing by Japanese Air force during the WWII. But did you also know that the island joined the United States union in August 21, 1959? I bet you did not know. Now that you are travelling there, don't you think it is time you learnt something little about the island? Below is a list of 10 things that you should know about Hawaii. Hawaii is the northernmost of the Polynesia Islands in central Pacific. It’s not only tourists that visit Hawaii. Its oceanic surroundings, tropical climate and active volcanoes attract oceanographers, biologists, geologists, volcanologists among other experts. The volcanic Hawaiian archipelago has hundreds of islands spread across 1500 miles, but people only know of the island of Hawaii, Oahu, Molokai, Lanai, Kauai, Maui, Niihau, and Kaho'olawe. With 750 miles coastline, Hawaii has the fourth largest coastline in US's States after California, Florida and Alaska in that order. Official languages in the state are English and Hawaiian. Hawaii has more endangered flora and fauna species than any other state in the US. Apart from the original 13 States, Hawaii is one of the 4 that were independent before joining the union. Archaeological evidence shows that the first human settlement in Hawaii was in 800. To get around the islands, you can use roads, cruise ships, or rail. To get to the island from other parts of the world, you can use Hawaiian Airlines or Mokulele Airlines. President Barrack Obama, the current president is a native of Honolulu. He was the first presidential nominee from Hawaii in the United States' history. 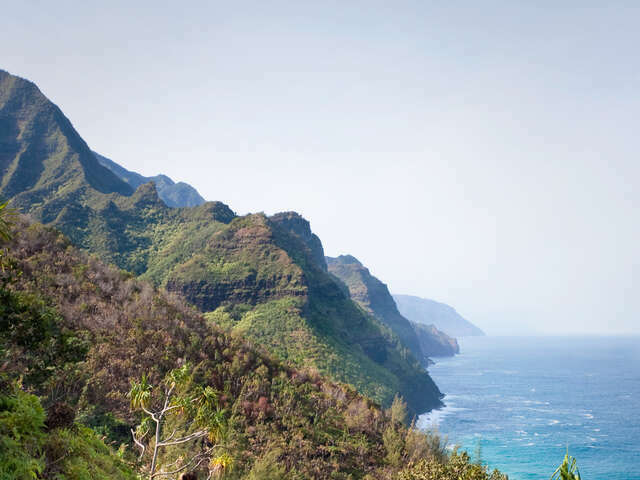 There are probably hundreds of things you should know about Hawaii before visiting. This is just a pointer.